This Friday, November 25th (known as Black Friday), is the busiest day for shopping in the United States. 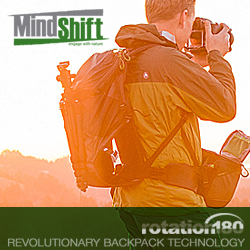 Think Tank Photo is offering up 11 camera pouches and memory card holders worth almost $300 that you can have added for free to your purchases. Every time you place an order with Think Tank, when you check out you will be asked which one of the items listed below you wish you receive for free. There is no limit on the number of orders you can place. You receive free gear with every order.